As the tea scene explodes in America, we’re seeing many different business models, both on the wholesale side and on the retail side. One that I find particularly interesting is the small but growing trend of tea farms selling directly to American consumers, whether shipping directly from the farm or by shipping to the states for later distribution. I sat down with Chicco Chou of Mountain Tea to learn more about this business model. 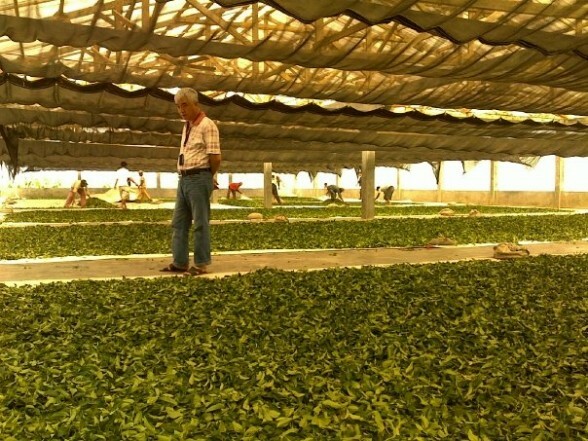 Chicco was born in Taipei, Taiwan in 1987, his family owns 3 tea farms totaling 600 acres in Taiwan, China and Indonesia. His two uncles Zhi Xing Chen and Zhi Zhong Chen were tea merchants for 10 years before getting involved with growing their own tea in 1987. They now sell tea directly from the farm on their Mountain Tea website. Q: When did you decide to get into the family business? I decided to get into the family business around January 2012. I’ve always been very interested in the food industry. At a young age, I discovered I had a pretty sharp palate and had contemplated going to culinary school but ultimately decided that my skills would be well adapted for this industry as well. Of course, I’m still learning and there’s tons to learn about tea. Q: Who in your family processes the tea? Is it processed by hand? We employ workers who are guided by our resident tea master. All of our teas are all hand-picked and hand-processed. Q: Before starting the website, how did your family sell their tea? Q: When your family started growing tea in 1987, how long was it until you were able to produce a viable harvest? As is the norm, newly planted tea trees are viable for harvest after 3-4 years. Tea, like wine-making, is a very delicate art. While we are very confident in our tea-making techniques, there are uncontrollable variables that have considerable effects; slight changes in soil composition or weather can produce significant differences in the final product. By having 3 gardens in different locations, we’re able to diversify our product line as well as our risk. Q: How did your family learn about tea processing methods? We’ve been growing and processing tea since 1987, but we’d been in the tea business in 1977. During those prior 10 years, we’d made significant relationships with farmers, roasters, and tea masters – all of whom have contributed to our growth. Q: How much tea do you bring into the United States at a time? We import roughly 2000kg a year. We do separate shipments with volume depending on many variables. We also do some drop shipping direct from Taiwan. Q: Where do you store the tea in the United States? Our tea is stored in our warehouse in Los Angeles. Q: Who fulfills the tea orders you get here in the states? We fulfill all orders in the states. We have 3 employees. Q: Do you feel as if you have the upper hand on tea retailers that go through a middle-man to purchase teas? We prefer to take more of a harmonious approach towards business. Being a wholesaler as well as a retailer, we do our best not to alienate the retailers that choose to work with us. We go through extreme lengths to ensure our wholesale prices allow our wholesale clients to offer fantastic quality teas well below market prices. That being said, there are obvious advantages and disadvantages on both ends. Being a grower/retailer ensures we have full control over our product, but we also have more costs to consider. Q: Do you think that more tea farms will start doing what your family is doing as the connoisseur market in the United States grows? Some farms are banding together to form co-ops and selling together. It’s possible that more successful farms may decide to go independent. Q: What do you think will be the biggest change in the way we appreciate tea in America in the next 10 years? We think the coffee industry is a close predictor of how the tea industry will develop. In the beginning stages of both industries, mass-manufactured, low-end products were the norm (e.g. Lipton vs Folgers). Then the proliferation of Peet’s which introduced the likes of Starbucks, Coffee Bean & Tea Leaf, Teavana, DAVIDsTEA, etc. who paved the way for coffee and tea education. Now we’re seeing the rise of artisan coffee roasters like Kean Coffee (Newport Beach, CA), Verve (Santa Cruz, CA), Blue Bottle (Brooklyn, NY), Alterra (Milwaukee, WI), etc who source from farms instead of countries; roasting is used to bring out unique characteristics from each bean rather than masking bad ones. Because raw tea is a much more fragile commodity and more vulnerable to quality degradation during transport than green coffee, I can see the industry developing in one or two ways: 1) artisan tea blenders – this is already happening (e.g. Art Of Tea, Joy’s Teaspoon, etc.) 2) artisan tea roasters like Mountain Tea. Tea roasting is not very well known in the US, but as the tea industry grows and the palates of tea drinkers develop, this can concept has much potential. In Taiwan, the oversaturation of the tea market has forced tea masters to distinguish themselves through post-process roasting. In fact, at the Lugu Spring Tea Festival competition, many entries are not from the original growers, but roasters. Taiwanese tea roasting has become so technical that skilled roasters are able to develop any flavor they want solely through the manipulation of heat and time. 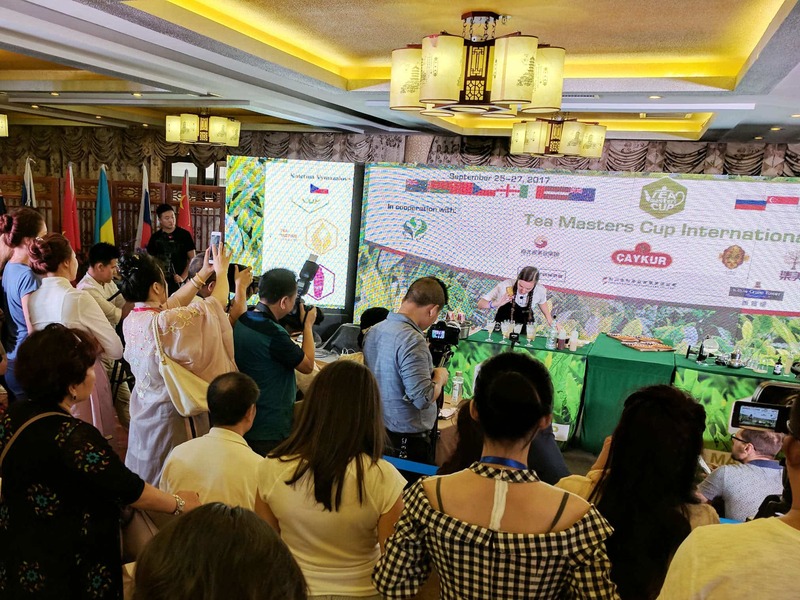 The future of tea will see more of a widespread emphasis on farms and growers rather than country of origin, an emphasis on blending and flavoring to enhance flavors rather than masking poor quality leaves, and tea roasting as an art form. Q: What is the purpose of roasting tea? What teas are typically roasted and for how long? Post process roasting should be used to refresh a stale tea, to give added depth and character to a stellar tea, or to age a tea gracefully. Any tea can be roasted. The more famous ones are Dong Ding and TieGuanYin, but all types of tea are roasted. Some companies and growers may use roasting to mask deficiencies in their teas and may indeed mislead all but more serious tea drinkers. At Mountain Tea, we are very passionate about our teas and put our customers first. We stand behind every product we offer. Your satisfaction is our ultimate goal. I am very supportive of such a business model. Fresh tea or no tea! Very informative. Thank you for sharing your knowledge!